Let's just call this early, early, Spring (Chicago-syle!). And to us, that means it's time to plant! If you are craving the sweet smell of earth and plants, we've got you covered. Our greenhouse is full of early season annuals for containers and the landscape. Curious about what you can plant now? Here's a rundown of what we recommend. 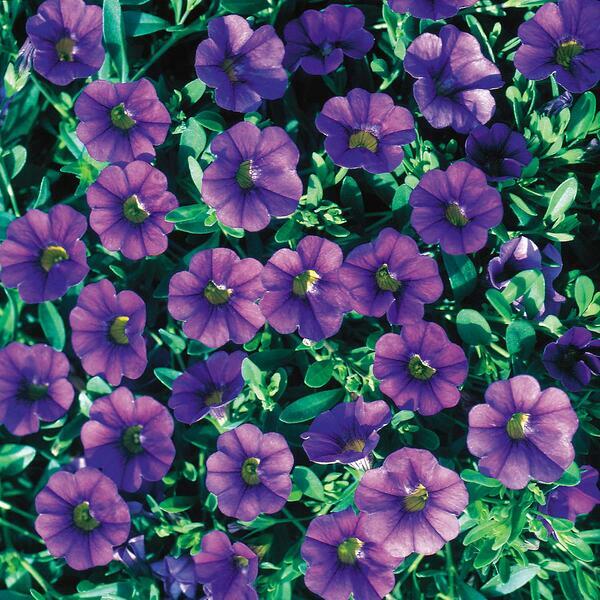 Stock - One of the most fragrant spring annuals and available in a variety of pastel colors. 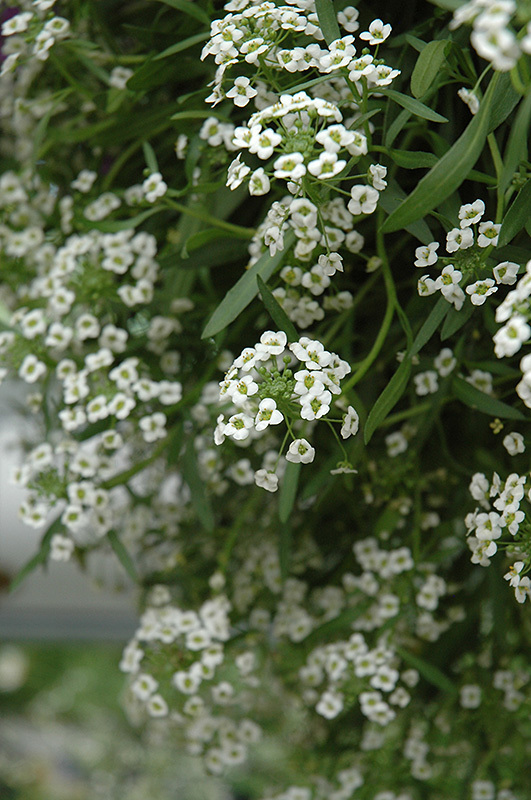 Alyssum - Sweet Alyssum is a favorite for containers and the fragrance is so beautiful. A top choice that can be used for summer containers too. 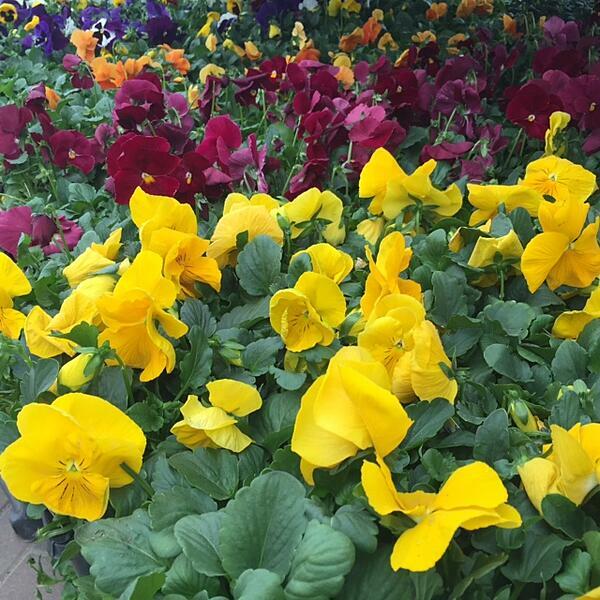 Pansies & Violas - These classic beauties can be planted in the ground and often come back. Look for Winter Survivor branded pansies can even be planted in the fall and will return in the spring. Super tough little plants! Ranunculus - This romantic bloom is ideal for cut flowers and is a top choice for brides. You can grow your own every spring. Bacopa - This annual comes in shades of blue-ish purple and perfect white. Covered in masses of small blooms. Creeping Jenny - This is mainstay plant of container design and can be used in every season. The lime green color and trailing habit make it pop in containers. An ideal "spiller" plant. Snapdragons - Snapdragons prefer the cold so we would consider them strictly a spring annual. Their stalky shape adds height to spring containers. Million Bells/Calibrachoa - Calibrachoa are a rock star in the annual world. They can be used in every season. They look like mini-pentunis and bloom prolifically all season long. Cascading habit make them a good "spiller". Visit out garden center when you need a taste of spring. Nothing smells better than our greenhouse when plants start arriving!